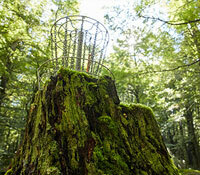 Welcome to discgolf.co.nz - celebrating the sport of disc golf in New Zealand. Using the simple frisbee, this is a sport that anyone can play but with challenges that can hook you for life. Where can I play? 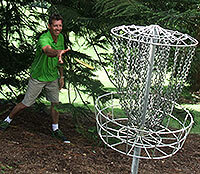 Check out our section Disc Golf Courses in New Zealand. We've been around a while compiling lots of great stories, images and video about disc golf in New Zealand. Some of those are below. Enjoy! Players braved the rain and sloshed their way through muddy grounds for 4 rounds. Congrat's to all who placed in each division & everyone else- you made it through the weekend! Jackson Sullivan smashes it in Taupo. This reporter has never seen so many birdies on one card. Even the weather came to the party as the country's top Disc Golfers bowed to the skills of the man from Wellington (soon to be Auckland.) A win by 10 shots and a course record slaughtered. It just gets better and better. Our 2017 NZDG Championships were our 39th annual Nationals - we've come a long way. A great course, well run, well catered for and the standard of play was right up there. Not just by the visiting Pro's either. Well done to Jacko Sullivan who topped the Kiwi standings in an otherwise all Pro 'Super 6'. One of the few tournaments on The Tour now where we have to haul baskets onto the course (as well as deal with a council who seems to be purposely making this as hard as possible), but once the fun begins it is all worth it! Thanks to everybody who helped make this happen, what a brilliant weekend of Disc Golf. Just the thought of that stunning drive from Queenstown up the guts of the South Island to Twizel was enough to get this reporter on the plane for a weekend in the Southern Alps. Not to mention a chance to catch up with the locals and play Disc Golf in that clean alpine air. As the name suggested, the only thing that was going to get in the way at this event over the long Labour weekend was wood, and it did. What a way to remember a lost golfing buddy. An excellent testing course in a beautiful park with a great bunch of people. Well done to TD Chris Davies, from the amazing trophies to a well designed course on top of a well run event. After one of the worlds best disc golfers Dave Feldberg described this course as "the toughest I've ever played", it was always going to be interesting to see who would turn up to take it on a second time. Twenty nine players did and looked like it was a lot more enjoyable the second time. 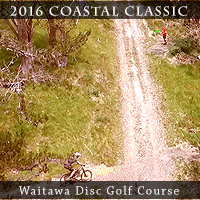 Following up on last year's amazing 20th Classic celebrations the Wakatipu reached yet new levels of excitment and incredible scenery as 50 players gathered to enjoy 2 of the wonderful disc golf courses that feature at this stunning part of the world. What a weekend of Disc Golf. Stunning weather, a made-for-Disc Golf park, a bunch of new faces and one of the most hotly contested Classics in all the years we've been hosting it. What an awesome weekend of Disc Golf. 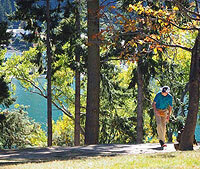 The Queenstown Disc Golf Club hosted our 38th annual National Championships. Hemi and his crew made sure every 'i' was dotted and 't' was crossed. Stunning venue, testing course and the most amazing bunch of people. The 2016 NZDG Tour is up and running. Event number one is always a great chance to see who's put in the work over the holiday period and what a stunning two days we had in the Rotorua Redwoods on this now 18 permanent basket course. In this reporter's mind there is no better place to spend a hot summer's day than in the shade of the giant redwoods with a disc in your hand. Disc golf in New Zealand just goes from strength to strength in the 21st Century as the New Zealand Disc Golf Tour continues to visit scenic spots a-plenty. On the 2016 New Zealand Disc Golf Tour we had holes over lakes, under snow-capped mountains, by glorious hot pools for that half-time foot-dip and much more. So pour yourself a cold one (or two) and take time to enjoy our dedicated page for The Year That Was NZ Disc Golf 2016. The New Zealand Disc Golf Tour went truely professional in 2015 with the Nationals featuring no less than 4 American Pro's including a 5 time world champ. There were tournaments in amazing new locations and once again some fresh new faces. So grab yourself a brew and take time to enjoy our dedicated page for The Year That Was NZ Disc Golf 2015. 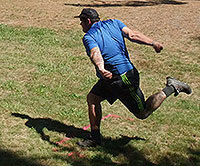 The hallmark for NZ Disc Golf in 2014 was the quality of play throughout the division. Thanks to the New Zealand Disc Golf Tour we are seeing the skill levels climb to world standards. Not to mention the opportunity to play this great sport in some of the most spectacular locations you could imagine. So grab yourself a brew and take time to enjoy our dedicated page for The Year That Was NZ Disc Golf 2014. 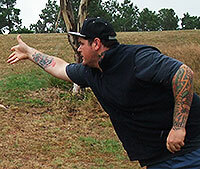 The New Zealand Disc Golf Tour continued to grow in 2013 with many players turning up to challenge the old guard. From the deep south to the sub-tropical north we witnessed some awesome play as well as one of the best comebacks we have ever seen. 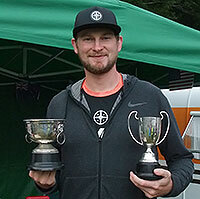 So best you grab yourself a cuppa and enjoy our dedicated page for The Year That Was NZ Disc Golf 2013. In 2012 we once again saw record numbers in the Tour, a Kiwi become the Aussie Champ, a fantastic new NZ Tour venue in Wanaka, the first Kiwi to be inducted into the Disc Golf Hall of Fame and much, much more. 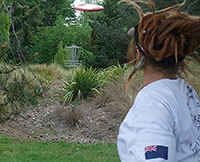 So grab yourself a brew and enjoy our dedicated page for The Year That Was NZ Disc Golf 2012. 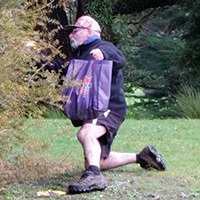 2011 was another ripper of a year for disc golf in New Zealand. We saw record numbers in the Tour, a great showing by our Kiwis at the Aussie Champs, magical Nationals in Hamilton, a new course at one of New Zealand's most popular mountainbiking parks and much, much more. 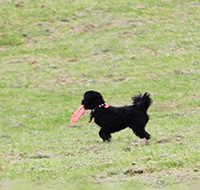 So relax and enjoy our dedicated page for The Year That Was NZ Disc Golf 2011. 2010 saw Queenstown Gardens achieve the full 18 basket status. We crowned a new National Champion, hit the Australian Open, played with the New Zealand cricket team (the Black Caps) and of course visited all the fantastic Kiwi disc golf destinations as part of the 2010 New Zealand Disc Golf Tour. 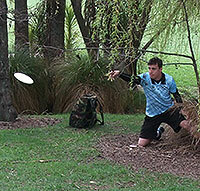 So kick back and enjoy our dedicated page for The Year That Was NZ Disc Golf 2010. 2009 saw some great advancements for Disc Golf in New Zeland with 4 new basketed courses being installed around the country! The New Zealand Disc Golf Tour visited some exotic locations for disc golf in pristine and sometimes challenging conditions. Our Nationals was held on an all-new course, visiting internationals shared their stories. So kick back and enjoy our dedicated page for The Year That Was NZ Disc Golf 2009. What a year 2008 was for Disc Golf in New Zeland. The New Zealand Disc Golf Tour visited some exotic locations for disc golf in pristine and sometimes challenging conditions. Not only that, but we also visited the Australian Disc Golf scene not once but twice! We have summarised the year for you, with some of the best pictures and memories that will last for all time. Plus stories from such Kiwi Disc Golf icons as Pete Crowther, Marty 'Scratch' de Haas and more. 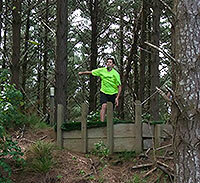 So kick back and enjoy our dedicated page for The Year That Was NZ Disc Golf 2008. Wow, what a ripper 2007 was for Disc Golf in New Zealand! We saw the creation of one of the first permanent courses in New Zealand for a long time, Kiwis at the Worlds, upgrades to the awesome Queenstown course, and of course The New Zealand Disc Golf Tour once again visited some exotic locations for disc golf in pristine and sometimes challenging conditions. We have summarised this fabulous year for you, with some of the best pictures and memories that will last for all time. So kick back and enjoy our dedicated page for The Year That Was NZ Disc Golf 2007.